Welcome to my SPEAR:PDR Train-the-Trainer page. I look forward to meeting you at a course! that will help you grow as a personal safety coach? You’ve developed the physical skills but what about scenario design? How’s your knowledge about neuroscience and how it influences human movement? Can you deepen your understanding on fear management and mindset? Can you improve your public speaking & presentation skills? These are are some of the skills the separate ‘trainers’ from elite ‘coaches’ and these are areas we will help you develop during our course and post-grad training.. Roughly 100% of the people who attend my SPEAR: PDR Trainer Course are already all experienced professionals. Why are they attending our course? For the same reasons that business professionals continually attend advanced training, they are re-investing in themselves, they want to improve and bring the latest research to their clients. 1. You'll be safer and therefore your family will be too. 2. You'll be a better coach and this will make your students safer. 3. You will understand how to introduce scenario-based training to your students and this will change how you help people prepare for violence. The Blauer Tactical trainer’s certification is a ‘best in class’ training experience that blends cutting edge research with a true mission and message. Participants of this course can expect to come away challenged, changed and motivated to take the skills and drills back to their communities where they can make a real difference with all aspects of confrontation management. People attend from all over the world, from all walks of life with all levels of experience attend our course. Watch this video. Listen to the passion. Then do your research. will give you skills and insights that will make a difference. 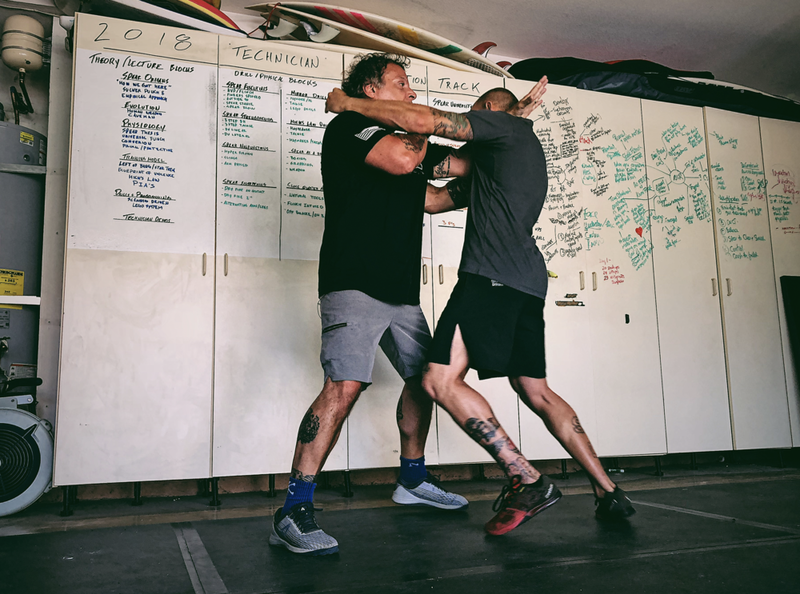 "The PDR session was a "wall of information" that provided a roadmap and reframe as to how I viewed true self defense as an end user and more importantly as a teacher. It provided valid processes based in physical facts that allowed me to develop, trouble shoot and present all aspects of self defense in a manner that previously was based in "tradition without substance". *The initial investment of the ONLINE ON-RAMP is virtually FREE - when you register for the LIVE course we will apply the entire $499 against the course tuition. **If you're not ready to get qualified & certified to teach, you can still purchase the ONLINE ONRAMP program and study, prepare and train, the drills and study the system. When you’re ready, apply to the LIVE certification course. This option is also ideal for ‘garage gym’ groups (non-commercial training groups). Click the video below and watch the trailer and scan the topics. One month after your course you will be invited to a private ZOOM call with the other graduates from your course to do an accountability check-in. You also get a special invite to our private Facebook group where you’ll connect with SPEAR grads from all over the world. The ONLINE-ONRAMP course is sold separately for $499. The full LIVE course is $2,000. If you are ready to go commit to the program we will combine both fees and you pay just $1750. (You’re saving an extra $250 with this prepay option for a combined savings of $750). If you are are a business owner and have multiple trainers you’d like to get certified, contact us about special group pricing. The SPEAR:PDR course can be used by law-enforcement for personal training and SPEAR re-certification, for pricing and information please email ask@blauertactical.com. The ONLINE ONRAMP course is required to attend the LIVE event. But it’s also a perfect option for those who want to study the SPEAR System remotely, prepare for the course, but are not ready to attend the full certification course. “For those who might be contemplating their first PDR training session: What are you waiting for?? JUST DO IT!! It'll be some of the best time and money you ever spent. Beyond the physical drills..... beyond the self defense training..... the psychological principles are so powerful, that I find I use many of them EVERY SINGLE DAY. Remember - Tony's company is called Tactical CONFRONTATION MANAGEMENT Systems. And that is just what every day life often is: Managing a series of continual confrontations and conflicts. We have confrontation in our private lives, in our personal relationships, and in our professional positions. The PDR is more than just a "how to fight" course........ it is a "how to deal with people on all levels" course. The PDR program has honestly changed my life....... in too many ways for me to count!! Lastly, we all owe it to ourselves and our loved ones to have the absolute best material and drills to work from. For those who are actively teaching, we also owe it to our students to maintain a level of diligence in our continuing education within the system, in order to coach them the best that we possibly can. I strongly encourage each and every person who has attended a PDR basic instructor's weekend to follow it up with additional, regular training. You won't regret it, I know I don't. Hundreds of hours of content all searchable! Review of the key principles, concepts and drills from the SPEAR System. To access all of the above, there are monthly subscription fees starting as low as $49 a month. This subscription contributes to your continuing education, personal and Professional Development Program (PDP) and an accountability program to ensure you get the guidance to be successful. Coach Blauer on a monthly webinar with trainers from all over the world. HAVE YOU REVIEWED ALL THE INFO INCLUDING THE APPLICATION FORM? YOU CAN EMAIL US AT ASK@BLAUERTACTICAL.COM AND SOMEONE FROM OUR TEAM WILL GET BACK TO YOU! WITH VERY RARE EXCEPTIONS, A LEGITIMATE TESTIMONIAL SHOULD HAVE A REAL NAME ASSOCIATED WITH IT. THAT'S OUR HUMBLE OPINION. 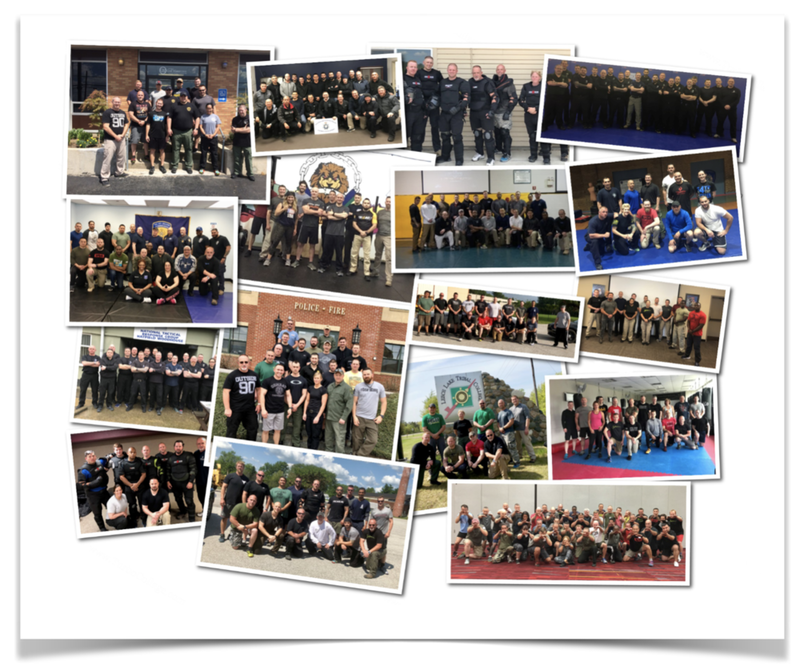 WE'RE PROUD OF THE IMPACT COACH BLAUER'S RESEARCH HAS HAD ON EVERY SECTOR OF SELF-DEFENSE, COMBATIVES, DEFENSIVE TACTICS AND MARTIAL ARTS. Andy Privett is a school teacher and runs a Ju Jitsu school in the UK. He attended our SPEAR: PDR Trainer course and wants to share this with you.